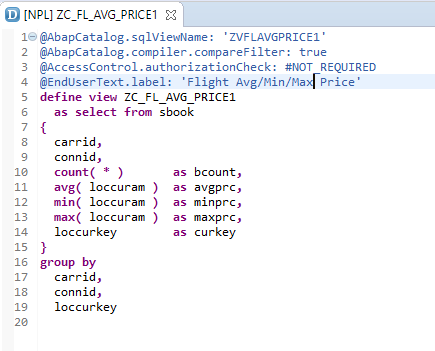 This is the final part of a 3-part blog – covering my experience of connecting a SAP ABAP 751 Developer Edition server to HANA Express and then, replicating data over to HANA through ABAP and finally, running a quick performance test between the two system using ABAP CDS vs HANA CDS. The title of the blog post says it all. This will be an unfair speed test. 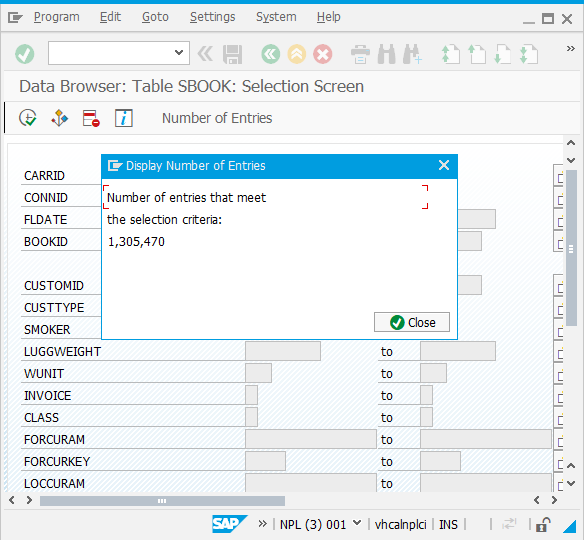 If you’ve read the previous two posts of this series, you’ll note that I have successfully connected the ABAP 751 SP02 Developer Edition to a HANA Express 2.0 server as a secondary DB and used a simple ABAP program that helped replicate data over from ASE to HANA DB. 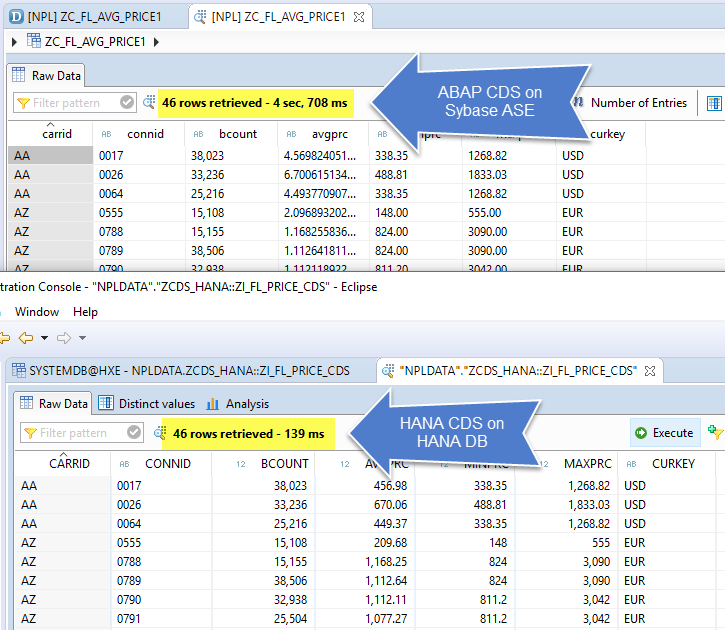 To perform this test, I created two very similar CDS, one on ABAP that will be selecting from the ABAP 751 server running on ASE and another directly on HANA hosted on my HANA Express Edition server. The purpose? None whatsoever. Just trying to point out the obvious fact that HANA is definitely way much faster! Here’s the really simple requirement that I chose to run this totally unfair speed test. Calculate the “Average”, “Minimum” and “Maximum” ticket price for all unique flights in the Bookings (SBOOK) table. 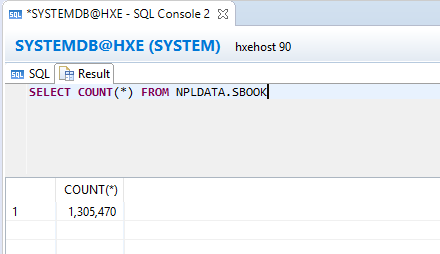 I’ve generated over 1.3M records in the SBOOK table and I have the exact same records in both ASE and HANA DB. So, let’s take a look at the CDS now. First up, the ABAP CDS. Then, followed by the HANA CDS. As you can see, both are extremely similar! Now, to run the speed comparison, I’m simply going to use the “Data preview” feature in Eclipse and here it is, ladies and gentlemen… HANA ROCKS… but all of us already knows that. I hope this series of blog has been a fun read. 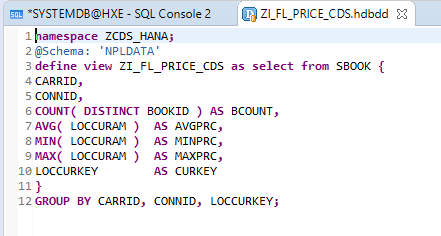 I certainly learnt a lot in the process and also now have a system where I can do both ABAP and HANA learning with.